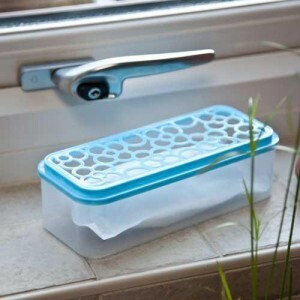 Caraselle Direct – Home Accessories Products Quickly buy condensation remover.It help to avoid any accompanying mould. “I am very pleased to be able to let you know that having used the Gel-Safe moisture pack to clear the condensation from my windows not only have I been able to have clean, clear, windows to see out of which is not causing any damage to my property but even more than that I have experienced a great benefit of my health too. As I am living with a serious chest complaint any condensation can settle on my chest and I can feel very unwell. However, since using this properly the air around me is still clean and fresh, so does not restrict my breathing. It is nice to be able to give you feed back on how this product has made such a difference to me. The Gel-Safe Moisture Trap: The Gel-Safe system regulates excess humidity, keeping it at the optimum level. This prevents damp, mould, mildew, bacteria & musty odours – improving overall air quality & comfort. The really clever thing about this product is that the trap turns moisture into a gel, not liquid, therefore the Gel-Safe residue cannot be spilled, which makes it ideal for multi-purpose use ie. Wardrobes, cupboards, cars, caravans & boats. The refills are extremely easy to replace with no mess or spillage. There are of course additional measures you can take to finding condensation cures, including ventilating your house, especially when drying clothes or after a bath (just opening a window and closing the door is good). Plus removing condensation will also help to avoid any accompanying mould – wiping window frames regularly can help keep this at bay.